Pinwheel bows are a cute bow, simply attach a to a hair clip and where on its own. 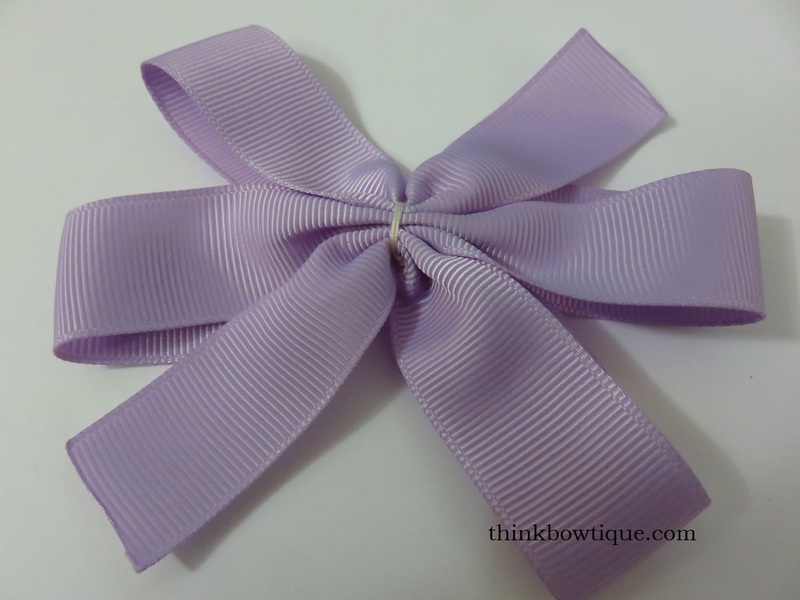 They can be layered with other bows attached to beanies or even used to decorate gifts. 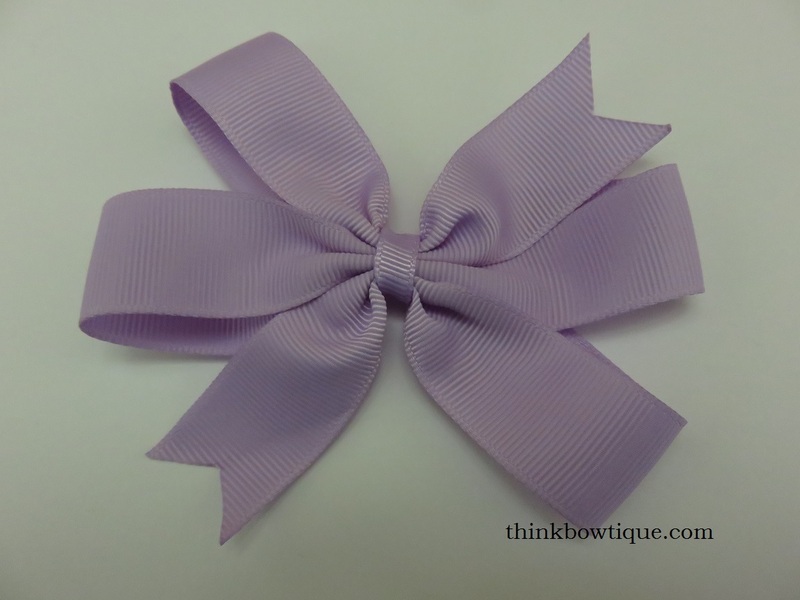 First decide how wide you would like your bow to be. For this bow I want it to be about 10cm. You will lose about 5mm when you tie your bow. 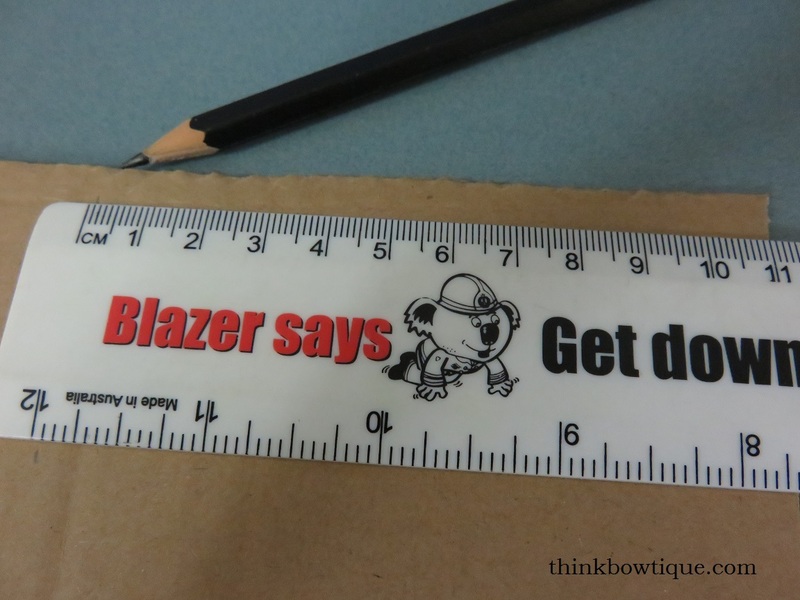 I added an extra centimeter. 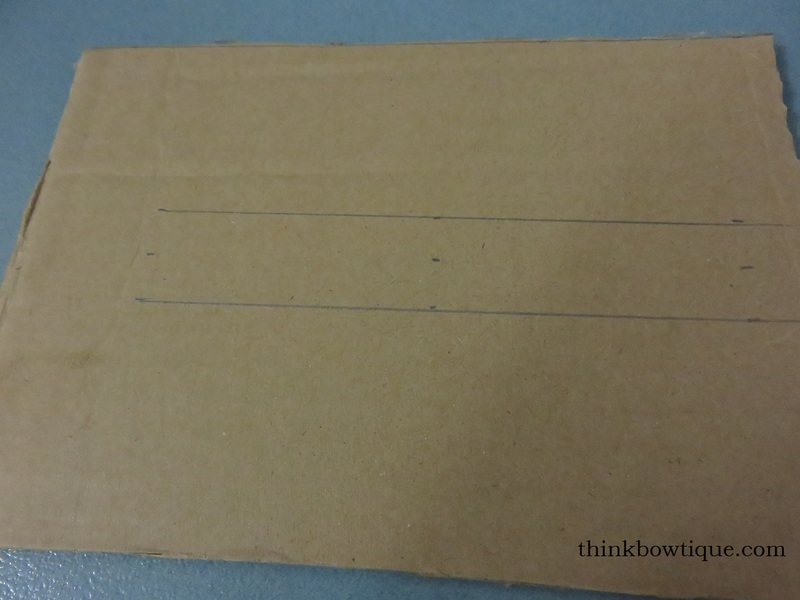 To give yourself plenty of room make your card about 15cm high. 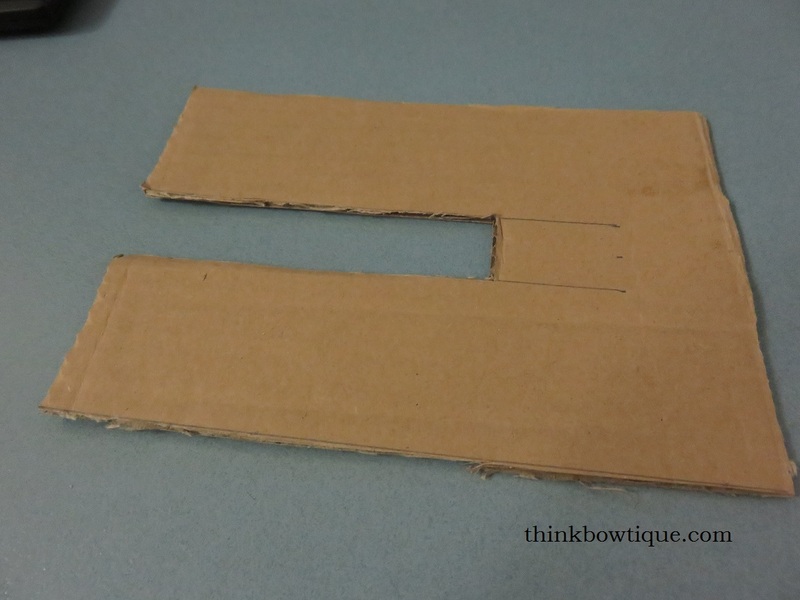 Mark the centre of your width and 1cm on either side. Cut up about 10cm leaving about 5cm at the top. 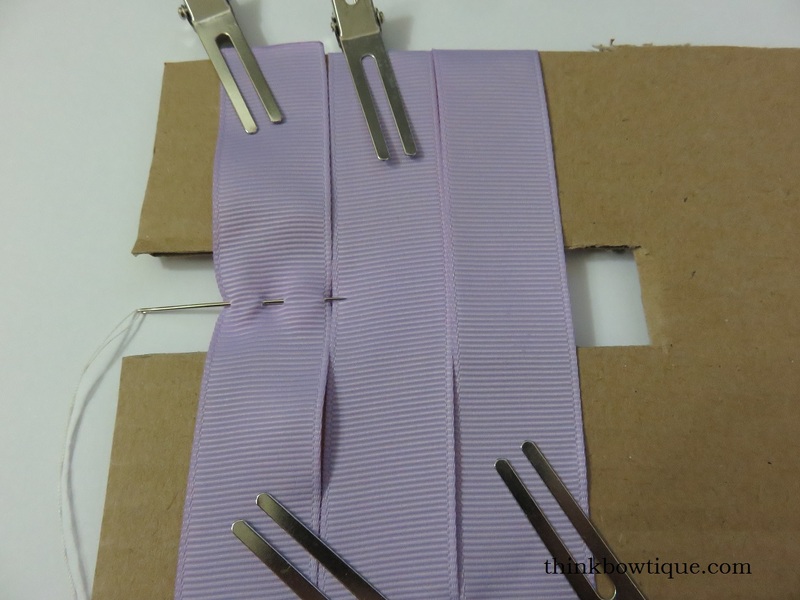 Take a length of ribbon and leave about 5mm overhang from your edge. 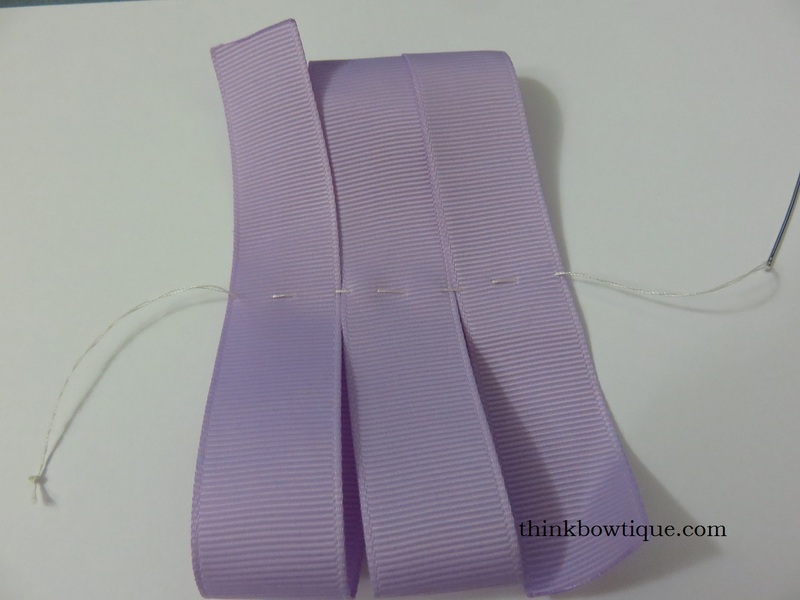 Use a hair clip to hold in your grosgrain ribbon in place. 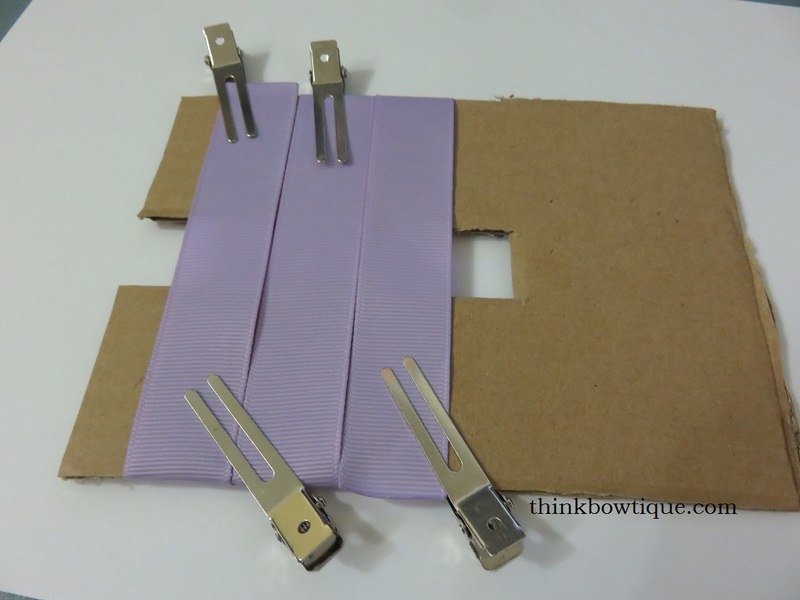 Wrap the grosgrain ribbon around the board so the ribbons sit flat beside each fold. You will have 3 wraps in the front and 2 in the back. Cut the ribbon 5mm over the edge. Thread your needle and tie a knot a few times so the knot is thick. Take your needle and thread it through the top side of the bottom edge. Then down and up to give you 2 peaks and one valley. 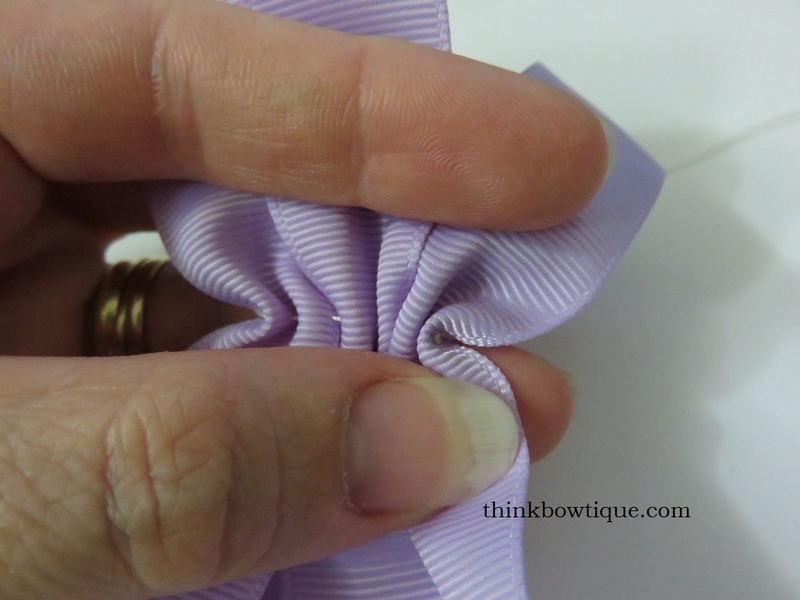 This will give you the nice pleat in your bow. Continue your peaks and valley on each fold. Slide your ribbon off your board. Now pull on your thread and gather your ribbon. Pull your thread around to the other side of the bow. 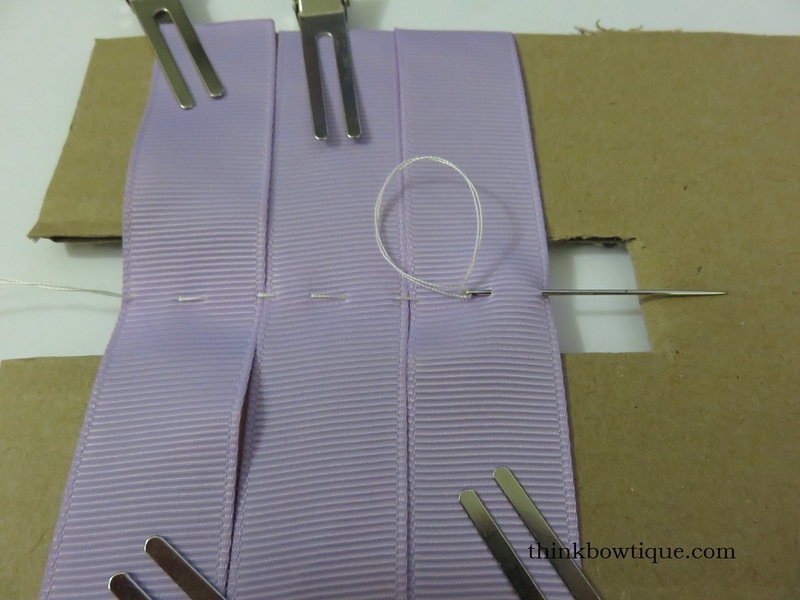 Push your needle back through the other side of the bow and pull it out tight. 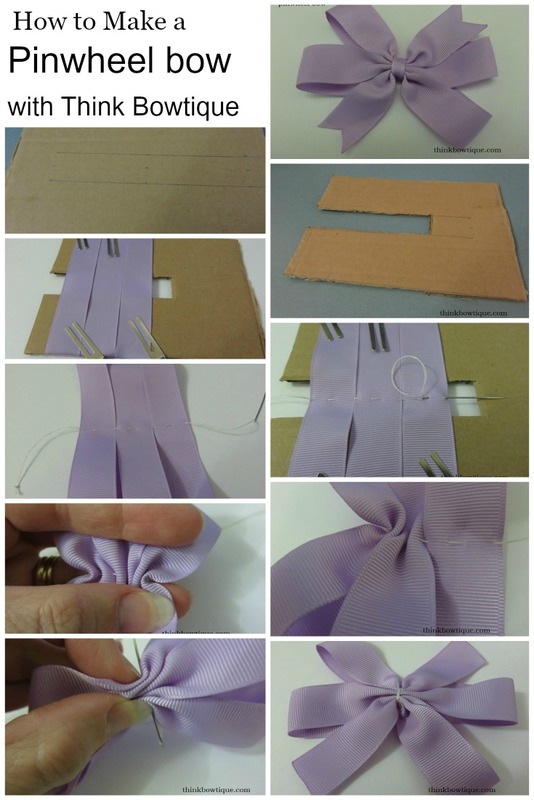 Wrap the thread around the bow a few times and the tie off and knot. 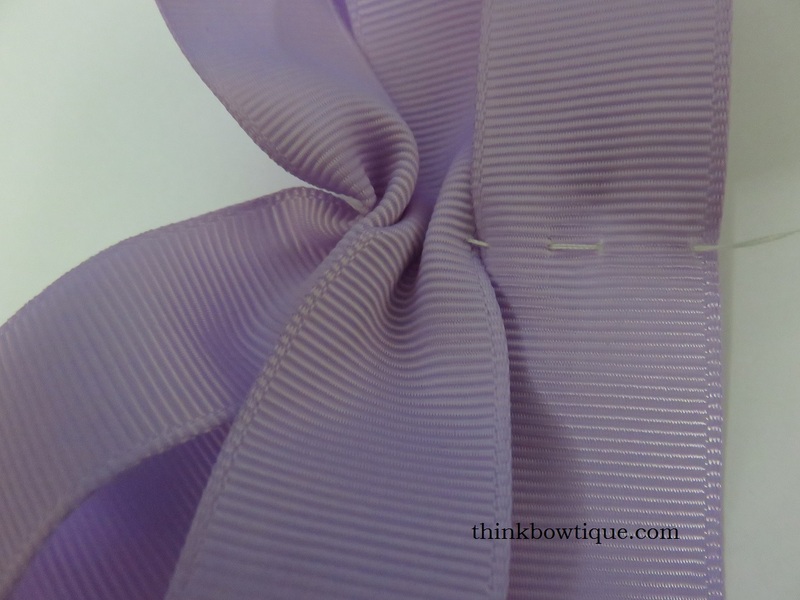 Trim the ends of the ribbon how you wish and hot glue the 6mm grosgrain ribbon around the centre of your bow. 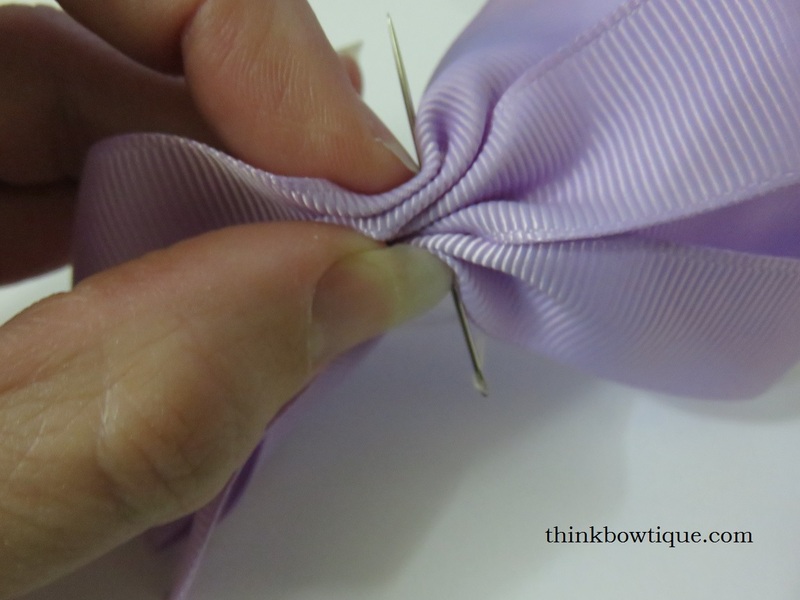 Make your pinwheel bows with solid grosgrain ribbon, printed grosgrain ribbon or satin ribbon to suit your project. If you liked our tutorial make sure to pin it for future reference.